Featuring an outdoor swimming pool with a poolside terrace, Hotel Indigo Barcelona - Plaza Catalunya is just 200 metres from Passeig de Gràcia Boulevard. Plaça Catalunya is about 4 minutes’ walk away. 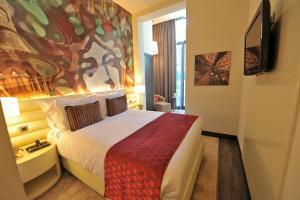 The stylish, air-conditioned rooms in the Hotel Indigo have a flat-screen satellite TV and free WiFi. Some bathrooms have a spa bath, while all rooms include amenities such as a minibar, coffee maker, scale and daily newspaper delivery. A pillow menu is also offered. Some rooms have a balcony or terrace. The restaurant, Gastro Bar Catalunya, offers Spanish dishes for breakfast, lunch and dinner. The 24-hour reception can arrange hire of bicycles and cars, and book tickets for exhibitions and musicals. The train station offering a connection with Barcelona Airport is about 6 minutes’ walk away. Gaudi’s famous La Pedrera is just 10 minutes’ walk away. A great range of bars and restaurants can be found in the area surrounding the Indigo Hotel. Please note that guide dogs are allowed. Featuring a private balcony with view of Gran Via Avenue, this stylish, air-conditioned room features a flat-screen TV, free minibar, Nespresso coffee maker and free Wi-Fi. 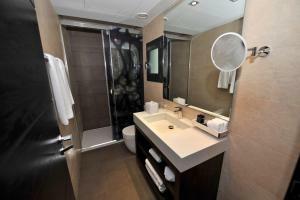 The bathroom includes rain shower, hydromassage bath, hairdryer, slippers, bathrobes and free luxury toiletries. Featuring a balcony with views of the swimming pool or Gran Via, this stylish, air-conditioned room features a flat-screen TV, free minibar, coffee maker and free Wi-Fi. 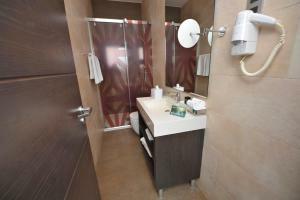 The bathroom includes a rain shower, a hairdryer, bathrobes, slippers and free toiletries. 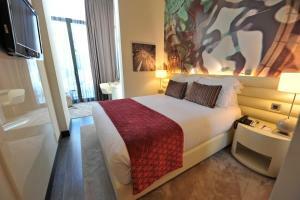 This stylish, air-conditioned room has free WI-Fi and a flat-screen TV. The private bathroom includes a hairdryer and free toiletries. 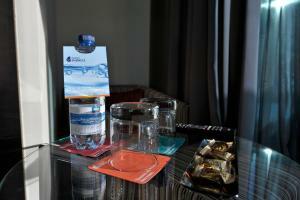 There is also a minibar and a coffee maker. 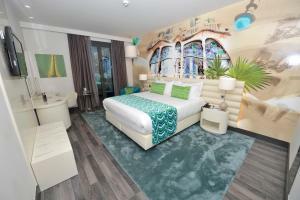 Rate: € 129.00 ... € 587.00; select dates below to get current rates. Offering views of the pool, this modern room includes a seating area with a sofa bed. 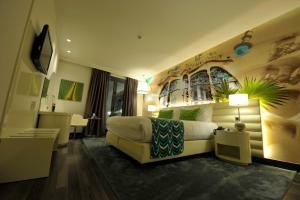 It comes with free Wi-Fi, a flat-screen TV, a free minibar and a Nespresso coffee machine. 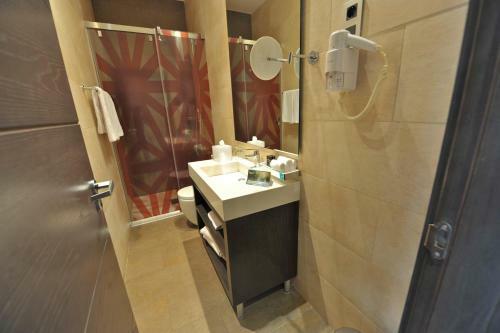 The private bathroom includes a rain shower, hairdryer, bathrobes and slippers. 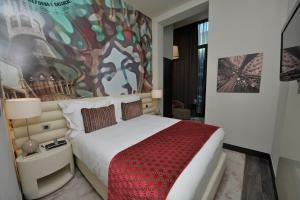 This elegant, air-conditioned room includes free Wi-Fi, a flat-screen TV, minibar, and a coffee-maker. The private bathroom includes a hairdryer and free toiletries. 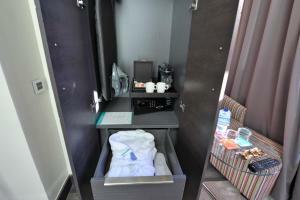 This twin/double room has a electric kettle, minibar and seating area. 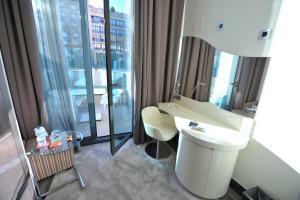 This double room features a minibar, bathrobe and iPod dock. 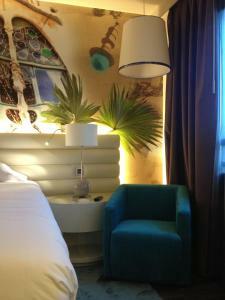 This double room features a iPod dock, cable TV and air conditioning.